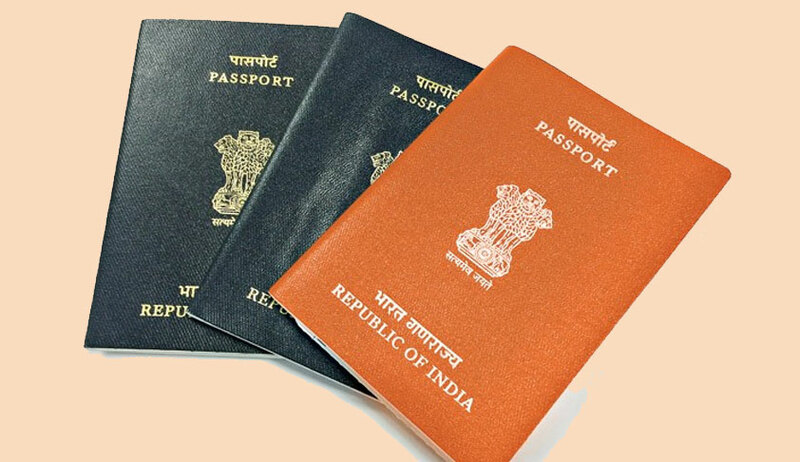 The Kerala High Court has issued notice to the Centre on a PIL that challenges the government’s decision to introduce orange colour jacket for 'Emigration Check Required (ECR)' passports issued to non-matriculate persons and to delete/detach the last page of passport containing personal details of passport holder, saying the same amounts to subjecting a lesser educated person to humiliation and treating them as second class citizens. A bench of Acting Chief Justice Antony Dominic and Justice Seshadri Naidu issued the notice on PIL filed by advocate Shamsuddeen Karunagappally and co-petitioner Shajahan, both residents of Kollam district. In the petition filed through advocate C Unnikrishnan, the petitioners say they are aggrieved by the decision of the respondents to introduce orange colour cover for passports to segregate persons with low education and low economic status. "The respondents have decided to introduce orange colour code for Emigration Check Required passports. Emigration Check is required for passport holder who do not have education beyond 10th grade, having less than taxable income, who seek migration for employment. "The move is targeting migrant workers in Middle Eastern countries. To make their underprivileged status known publicly through separate colour code is a grave invasion of their fundamental right to privacy and dignity. There is no rational objective to be achieved through this segregation. The segregation is demeaning and shockingly violative of the principle of equality," the PIL said. It is to be noted that while the Centre had claimed that a different colour passport will help emigrant workers stand out in difficult situations and help easy processing of their documents, the PIL voices concern about practical hardships the move might create for migrant workers with chances of their harassment and exploitation increasing when their vulnerable status is made apparent through colour on their passport. The PIL also challenges the decision to remove the last page from the passport which contains personal information saying the same is not backed by any cogent reason. As of now, all ordinary passports are issued with blue cover, regardless of educational qualification and economic status of a person. The Emigration Act requires that any person who has not completed matriculation or has not worked at least three years abroad, must get an emigration clearance to travel to 18 countries, including the United Arab Emirates (UAE), the Kingdom of Saudi Arabia (KSA), Qatar, Oman, Kuwait, Bahrain, Malaysia, Libya, Jordan, Yemen, Sudan, Afghanistan, Indonesia, Syria, Lebanon, Thailand and Iraq. All passports requiring emigration check bear a seal on the last page. The Centre has now decided to issue orange colour passports to persons requiring emigration check. "This means that a different colour code is being implemented to discriminate uneducated and poor migrant labourers. If such discrimination is made among the citizens by the respondents, it will cause grave prejudice and difficulties to poor migrants when they travel abroad for employment or for any other purposes. When they arrive at the airports in other countries, the emigration officers therein will identify them as labour / coolie or undereducated category person from the colour of the passport and for this reason they may be subjected for humiliation and harassment," states the PIL where co-petitioner Shajahan is an ECR passport holder. It goes on to add that any Indian staying abroad has several other uses of a passport such as it being a document of bond or security by law enforcement agencies and a different colour might put their genuineness in doubt. While accepting issuance of maroon colour passport to diplomats and white to government officials, the PIL says classifying a matriculation failed and matriculation passed person by introducing an orange colour code doesn’t have any intelligible differentia. It says: "The action of the respondents per-se amount[s] to humiliation and paves the way for a person to [be] looked down with contempt even by helpers, hoteliers, travel guides etc."